Are the JFK Conspiracies Slowly Dying? Recently, a 2016 British documentary called 9/11: Truth, Lies, and Conspiracies cropped up in my Netflix list. It seemed to have a legitimate pedigree and, at only 43 minutes, I decided to give it a spin. About eight minutes in, I was rewarded when it made a leap that was both astonishing and satisfying, and yet so subtle I almost missed it. I re-watched the 45-second section several times. On the screen is Dylan Avery, one of the producers of the widely viewed and vastly nutty 9/11 documentary titled Loose Change. “Today,” the narrator explains, “Dylan’s views have moderated. He doesn’t stand by his more extreme claims, such as passengers being offloaded from Flight 93 before it crashed.” Wait … What? “Even so,” she continues, “he still believes that many of the questions posed by Loose Change are as relevant today as they have ever been.” Then Avery speaks: “Why did no one catch these guys?” he asks. And just like that, a leading light of the 9/11 crackpot universe, in front of the world, takes a big step back from the edge. Why has the JFK assassination generation taken so long to do the same? The JFK conspiracy machine, which had showed some signs of slowing, was jolted back into life by Oliver Stone’s 1991 film JFK. Stone’s dazzling polemic is credited with the subsequent creation of the Assassination Records Review Board by Congress, which not only searched for un-released assassination documents but also deposed witnesses under oath. But Stone made the protagonist of his film Jim Garrison, the clownish New Orleans district attorney whose failed investigation is seen today, even by many conspiracists, as a sham. Nevertheless, JFK brought the conspiracy myth to a new generation who, for the most part, embraced it. Slowly, however, the JFK effect seems at last to be wearing off. In 2013, Gallup reported that 61 percent of Americans agreed that “others were involved in a conspiracy” in the assassination, the lowest figure since the early 1970s. And while only 30 percent agreed that “one man” is responsible, this is three times greater than in 1991, and 11 points more than in 2003. As the entry requirements for “film producer” have expanded to include anyone with an iPhone and an Internet connection, the number of YouTube conspiracists seeking to become the next Dylan Avery — or, in the case of the Kennedy assassination, the next Mark Lane or David Lifton or Oliver Stone – is increasing hourly. 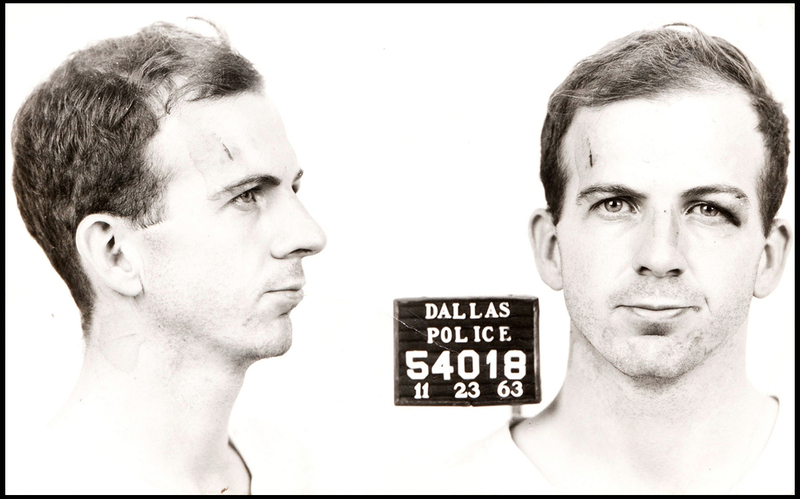 But at no point in the preceding 54 years have there been so many books, documentaries, TV specials, and experts available to argue that Lee Harvey Oswald acted alone. Until recently, learning about the case meant choosing from what are now the leading conspiracy theories: it was the mob, or it was Cuban exiles, or it was the Secret Service, or the FBI, or the CIA, or rogue officials in one government department or another. Or it was Lyndon Johnson, or it was some permutation of the above or maybe all of them, working with the collusion of a docile or corrupt media establishment. Unless you chose to read government reports, serious lone-assassin works were few and far between. Exceptions include two books by Warren Commission attorney and defender David W. Belin, for instance, or one by journalist Priscilla McMillan, who had interviewed Oswald in the Soviet Union. Robert Blakey, who was the chief counsel for the late 1970s House Select Committee on Assassinations, wrote a book that concluded Oswald was the only shooter (of probably two) who fired the shots that killed Kennedy. But Blakey then went on to blame the mob for planning the hit. The popularity of JFK also gave renewed impetus to those who felt history was in danger of being rewritten and popularized by cranks. Important examples of this slower but determined counter-conspiracy trend include a number of books and documentaries that push back directly against the various claims made in that film. A film by Robert Stone (no relation) entitled Oswald’s Ghost aired on PBS in 2007 as part of the American Experience series, and is probably the best documentary contribution to the Oswald-acted-alone argument. The Pulitzer Prize-winning novelist and former conspiracy activist Norman Mailer appears in one of his last interviews, and reiterates the grudging thesis of his 1995 book Oswald’s Tale that Oswald had acted alone after all. In 2003, ABC screened The Kennedy Assassination: Beyond Conspiracy, a thorough and convincing rebuttal to JFK, also broadcast in the UK with a voice-over by the BBC’s Gavin Esler. The Detroit News reports Kennedy’s assassination, Nov 22, 1963. Among noteworthy shorter filmed works are the National Geographic channel’s JFK: The Lost Bullet, from 2011, which mixes digital detective work with informed analysis of various mysteries relating to Abraham Zapruder’s famous film of the shooting. It concludes that Oswald was the lone assassin. In fact, the film argues that Oswald may have had more time to accomplish the shooting than previously thought – as much as 11 seconds for three shots, rather than just under eight seconds, as estimated by the Warren Commission. In 2013, the science series Nova produced another useful contribution to the debate for PBS entitled Cold Case JFK. In 2007, Charles Manson prosecutor Vincent Bugliosi published the exhaustive Reclaiming History: The Assassination of President John F. Kennedy. His 1,612-page book infuriated major conspiracy researchers because in addition to a history of the case, Bugliosi also assaulted their works, one by one, in a tone that was either condescending and insulting or gloriously entertaining, depending on your point of view. Former New York Times reporter Philip Shenon’s A Cruel and Shocking Act exposed the Warren Commission’s shortcomings in numerous areas, but still supported the Commission’s conclusion of a single shooter. Shenon and University of Virginia historian Larry Sabato co-authored op-eds in major media months before the October mandated deadline calling for release of all remaining JFK assassination-related federal documents. A worthy destination for those investigating beyond conspiracy is the detailed website of noisy Wisconsin academic John McAdams, an old-school firebrand who is single-assassin all the way. The gigantic site MaryFerrell.org, named after a long-time JFK assassination researcher based in Texas, is a go-to destination to find important documents on the case, regardless of your point of view. Washington journalist Jefferson Morley, who writes for the Washington Post and Salon, remains a conspiracy believer, though eminently reasonable. His site JFKfacts.org is the essential outlet to follow the drama produced by the release of government documents relating to the case. One pro-conspiracy book is still worth reading. David Lifton’s 1981 bestseller Best Evidence is the Sherman Tank of assassination books. It focused on what the author claims are glaring and obvious inconsistencies in the official medical evidence, and quotes witnesses whose stories had not been told publicly. Lifton argues that something was amiss at what was then called Bethesda Naval Hospital, where the much-maligned JFK autopsy occurred. Lifton vowed to publish a sequel which would better explain and defend his views. I remain a fan of Best Evidence, and anyone who cares a whit about the JFK assassination must absolutely dive into the labyrinth of this hypnotic book. But nearly 37 years later, Lifton’s follow-up has yet to materialize. Both of these moments point to The Lane Problem: the personality often overwhelmed the cause, by the end alienating too many. Lane died in 2016. Lane’s fellow researcher and conspiracy theorist John Judge, who appears in The Searchers shrieking his disgust after watching ABC’s Beyond Conspiracy documentary, died in 2014. A third major researcher interviewed in the film, author (and UFO researcher) Jim Marrs, whose JFK conspiracy book was among those optioned by Oliver Stone, died in August. These were among the leaders of a generation of researchers whose complicated legacy has been to inspire a multi-generational seizure in America, as otherwise reasonable citizens turned their basements into vast government document storehouses, and their brains into bottomless reservoirs of paranoia and cloak-and-dagger fantasy. In recent years, as a post-Lane generation of researchers and authors has fought to take back control of the narrative, unapologetic condemnations of the more hysterical explanations for the assassination have become increasingly common. No single-shooter researchers are interviewed in The Searchers. “I didn’t consider having Holland, Posner, or Bugliosi to be part of my film,” explains Benson in an interview. “They have had so much airtime that I feel they didn’t need any more. Every single person who is remotely familiar with the case has seen them in every form of media. The people in my film have almost never been interviewed. And certainly not in what is referred to as mainstream media.” Lane opponents might quibble. Often, the degree to which conspiracy ideas gain or lose traction in the public imagination depends upon unrelated events unfolding around them, suggests Kathryn Olmsted, an author and academic at the University of California, Davis whose work focuses on conspiracy. The 9/11 conspiracy explanations seemed somehow more plausible during the Bush administration, she points out in an interview. Uncool. Not an insignificant description for cultural shifts in any direction on this topic. This tilt back toward toward a lone assassin has produced its own inevitable and furious backlash from the dwindling band of committed conspiracy obsessives whom few of us could hope to defeat in a debate. The most effective of these is probably Dr. Gary Aguilar, a San Francisco academic and ophthalmologist — with fairly decent Yelp reviews, by the way — who is among the few remaining from the heyday of the JFK assassination researcher epoch with any dignity left. Aguilar’s specialty is the forensics/ballistics side of the case, though there is no side of the case he does not know inside and out. “I do think it’s a little more socially acceptable to say that Lee Harvey Oswald was the lone shooter than it probably used to be,” says Alexandra Zapruder, author of Twenty-Six Seconds: A Personal History of the Zapruder Film. She is the grand-daughter of Abraham Zapruder, whose famous film of the assassination horrified not just the country but haunted the man who held the camera. Her grandfather died in 1970, before his film was made widely available, and before its mysteries had driven a market of hundreds of conspiracy books onto the bestseller lists. In an interview, she says she was knew of only one bad experience her grandfather had with an assassination researcher. “That was when he met Mark Lane,” Alexandra says. “Lane was frustrated that Abe wasn’t more forthcoming regarding his thoughts on the subject. They got in an argument which escalated when Lane accused my grandfather of profiting from the assassination.” What happened next may be seen as a metaphor for what – finally, slowly – seems to be happening to the claims made by JFK assassination conspiracy provocateurs. History is a battleground. It has taken only 15 years for at least one of the more ridiculous explanations for the 9/11 attacks to be (mostly) recanted by its leading proponent. For most of the JFK murder obsessives, however, this process has been considerably more sluggish. But the JFK assassination story may finally be sliding into a new age of reason. It is becoming more fashionable to define a middle ground – that the existence of a single shooter does not preclude a more limited conspiracy and/or a cover-up. 9/11: Truth, Lies, and Conspiracies offers a model of how such a move from mania to rationality might begin. By stepping away from some of his own more hysterical but unfortunately influential claims, Dylan Avery has created space to explore far more productive areas, such as the extent of the hijackers’ domestic support network, and how the plot managed to escape detection. Why did no one stop these guys? After 54 years, this is the direction sensible researchers are pursuing in the JFK assassination. Browsing responses to the recent release of assassination documents, this is where the best reporting and analysis can be found. Why did no one stop this guy? Craig Colgan is a Washington-based writer. It’s unethical in my assessment to use 9/11 conspiracy theories in this context. It’s a rather blatant use of guilt-by-association, in lieu of the very “reason” and “rationality” proclaimed, in order to dismiss JFK-related views. There is simply no legitimate nexus between 9/11 and the assassination of JFK. The conclusion of the United States House Select Committee on Assassinations, which supported the probable existence of a conspiracy, thus rejecting the Warren Commission finding, have no parallel whatsoever with regard to the 9/11 attack. In general, Colgan relies on psychological ad hominems, e.g. “major frustration,” “obsessives,” “mania,” “with any dignity left.” That strikes me as highly unprofessional and, again, not in keeping with the claimed interest in rational and evidence-based assessment. 1. 9/11 or the Kennedy assassination would require a truly vast conspiracy — a hundred, perhaps several hundred people in multiple departments. Wouldn’t someone feel guilty? Wouldn’t someone want to get back at a hated superior? Wouldn’t someone want to get rich writing a book? Wouldn’t someone get drunk and blab to his girlfriend? A large conspiracy would fall apart on the soggy frailty of human weakness. A claim for which you offer no substantive argument. If there are two shooters, for example, there could be as few as two people with direct knowledge. You then immediately contradict yourself by noting that incompetence could fill many of the gaps over which conspirators might have no control. You of course ignore one of the most obvious motivations for not revealing knowledge of a conspiracy: not going to prison and/or being sentenced to death. There’s no federal statue of limitations on homicide, treason, or on being an accessory after the fact to said offenses. And honestly, numerous people have done exactly the thing you’re suggesting has curiously never happened: admit to knowledge of a conspiracy. The credibility of those individuals is obviously a completely legitimate question, but the fact you’re not at that point of inquiry, and instead ignorant of their very existence speaks for itself. I see the point of a JFK conspiracy theory is that entire organizations are implicated — the mob, the CIA, the FBI, the Cubans, the Soviets, or permutation of these or others. Or the Post Office; I understand that the only reason Ruby was present for Oswald’s perp walk was that Oswald was delayed by a series of seemingly innocent government actions — including a crucial one by the Post Office. Post Office involvement in an assassination conspiracy would stay secret for exactly one coffee break. But, as you guessed, I know very little about such things. I see conspiracy theories as uninteresting, for the two reasons I gave.